Sub-title: What if it's not about who you marry, but why? 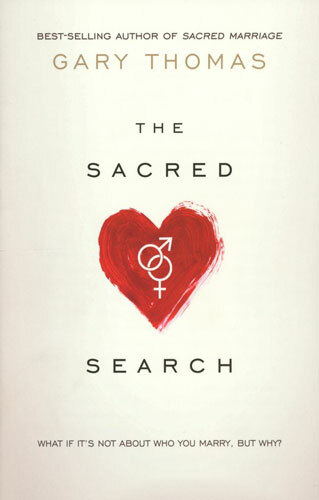 In The Sacred Search, Gary Thomas challenges you to think beyond finding a "soul mate" and to look for a"sole mate"- someone who will walk with you on your spiritual journey. 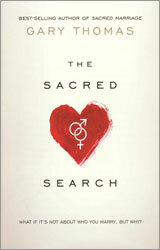 After all, if you don't know why to marry, you won't know who to marry.The Sacred Search casts a vision for building a relationship around a shared spiritual mission- and making a marriage with eternity at its heart. Are You strong Enough to be my (Wo)man? What about You? How Would Jesus Date?